Said to be a 're-imagining' of the original game from 2006, the game was originally known as Prey 2 stuck in development hell for many years before it received its re-reveal at E3 this year. To be released in 2017 for PC, PS4, and Xbox One. I'm excited, I've had the original game sitting on my shelf for years now after tracking down a copy from hearing all the good things about it. I never played the original, but this one certainly has my attention. Much in the same way as how Insomniac is the perfect team to tackle a Spider-Man game, Arkane is the perfect developer for something like this. I'm glad they're tarting back from square one instead of making a direct sequel as well. I'm curious to see how it'll be re-imagined. 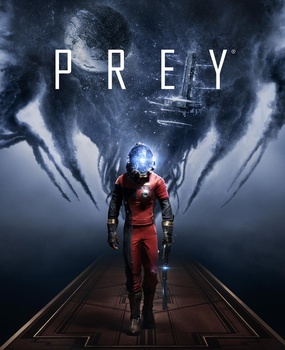 From what I know, the game ended on a cliffhanger saying 'Prey will return soon' or something, and the main character was Cherokee and that was a fairly big influence on the title which seems to be absent here. I'll probably finally play through this game once the release of this gets closer to compare the two further. You can choose between both genders to play as, just revealed today. Certainly giving off a Dead Space feel to me, albeit in first person, which excites me to no end. While I'm aware it went through development hell, was this game not going to focus on some sort of Bounty Hunter kinda deal originally? I remember seeing a trailer along those lines, but I guess it got changed again.